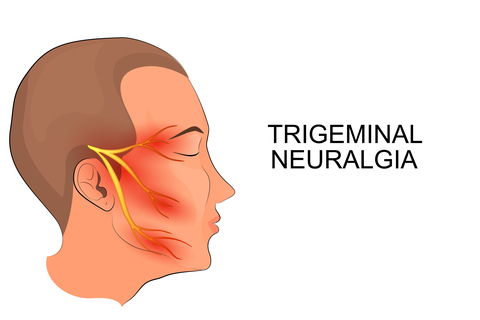 Trigeminal neuralgia, is an excruciatingly painful condition affecting the nerves on the face. The pain, most often on one side of the face, can be like an electric shock, like a bolt of lightning, or it can be stabbing, burning or aching. 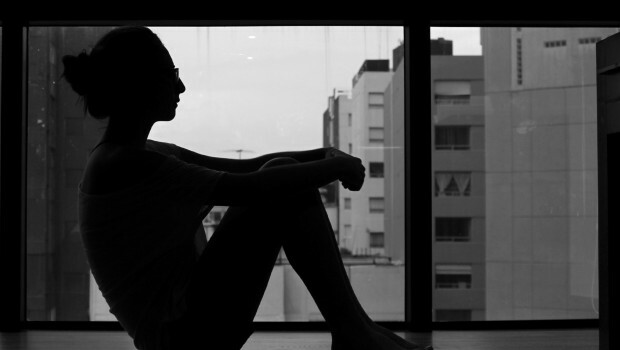 It is considered to be one of the most agonizing and debilitating conditions known to mankind, yet patients are often left untreated, misdiagnosed or given wrong advice. I live with this horrendous condition. But I lived with it for over twenty years before being diagnosed. During that time, I saw several dentists and doctors. I had toothache-like pain, face pain and head pain. Sometimes it was just in the background, other times, as though a knife was wedged between my teeth, slicing through my gums or as if someone was drilling or even extracting teeth without anesthetic. I had an almost constant headache, with my head often feeling as if it were trapped in a vice. Over the years, my pain increased, becoming more severe, more persistent and, eventually, constant. My complaints were ignored or brushed off. No reason was ever given to me for my pain. Pain medication was prescribed – but it was the wrong medication. It did nothing to help. When I was forty four, I saw a new dentist. Thankfully, she didn’t just dismiss me. She didn’t shrug her shoulders or tell me there was nothing wrong with me. She told me the pain was from nerves in my face. The following day, a rheumatologist who I was seeing for another problem, agreed with her and she diagnosed me with trigeminal neuralgia. She also gave me hope when she told me that there was medication which could help – either anticonvulsants, tricyclic antidepressants, or both. She confirmed that normal painkillers do not help. Since my diagnosis eight years ago, I’ve been on several medications. Some work better than others, some haven’t helped at all and they all tend to have side effects (some severe). Despite the medication, my face still often feels as though I’ve been hit by a baseball bat, or I can get stabbing, shooting pain coming from nowhere, or it burns like sunburn. On a good day, it’s a constant ache. It’s never pain free. I’ve learned about self help, like using heat and cold, and the importance of breathing, relaxation and pain management techniques. I’ve also learned that certain things can worsen my pain. Some of those triggers are avoidable, but some are not (I do need to eat, and I do need to brush my teeth at times!) and sometimes triggers change. Nothing about trigeminal neuralgia is consistent. Sadly, I know my case is not unique. 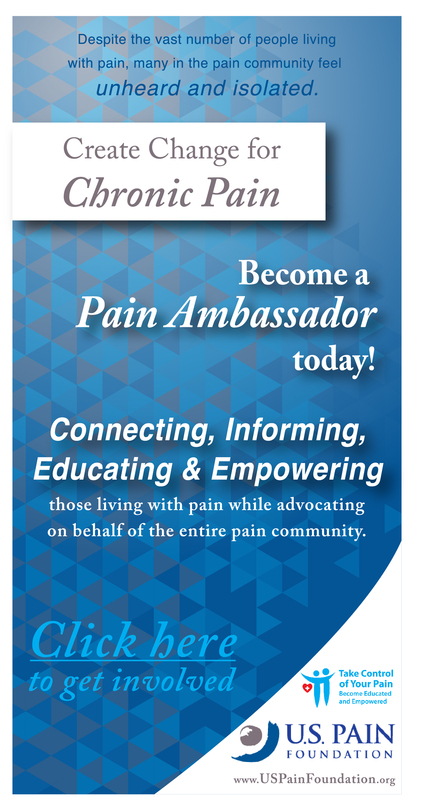 I know of many people who have spent years in agony without being given a name for their pain. They felt like they were not believed, both by doctors and by their families. They were made to feel as though they were exaggerating or fabricating their pain. And like me, they did not get the correct medication. Getting that diagnosis is crucial in getting help, support and treatment. But even when they do have an official diagnosis of trigeminal neuralgia, people can still encounter problems. When their pain is out of control, some people have gone to emergency where they are given normal pain medication which won’t help. 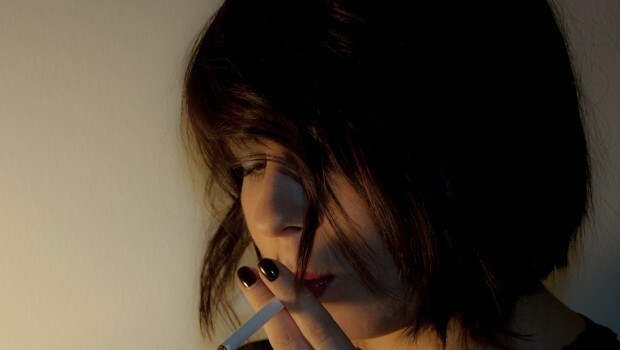 Even worse, they are sometimes turned away, thought to be seeking drugs. Trigeminal neuralgia badly needs awareness spread amongst the public, but there also needs to be more education about it within the medical community. Six years ago, I was one of the creators of a trigeminal neuralgia awareness page and support group. Some of the admin have changed over the years. It’s now mainly run by myself and Trish Veltman. Our principle is the same as in the beginning – that we have accurate, easy to understand and free information for sufferers, to help them and their families. There is so much false, misleading information online, which does nothing to help people, but simply leaves them with fear. Living with the pain is difficult enough. The 7th of October is Trigeminal Neuralgia awareness day, but in reality, we need awareness every day. Elizabeth Sirrell lives near Edinburgh, Scotland and will write on Trigeminal Neuralgia more in the future. I’m 100% in agreement with you and the story is too familiar. I turned 30 and two months later had the worst most blinding pain in my life after dental work. I kept going back explaining how it was one tooth and my dentist keep telling me how that was the most healthy tooth in my mouth, ironically my first trigger was an abscessed tooth. They killed the nerve there but they pain didn’t stop. Luckily my GP quickly recognized the symptoms because he had had a patient with TN before. I was sent to a neurologist and have been on an ever increasing bout of medicine since. I recently entered a flare up so bad that I was having thoughts that scared myself and I was very lucky to have family around to not leave me alone. My Neurologist upped my medication again allowing the blinding pain to subside and Im left wondering was this flare up triggered by another abscess or is the now constant dull pain in my cheek, electric feeling in my tongue, and sore tooth dental pain or my TN. I hate how people can’t understand because they can’t see a physical wound. It’s awful and a fight to keep some symbollence of normalcy. I’m too young to not live my life. Thank you so much for sharing! I love this article. Elizabeth, Thank you for your story. After reading your story, I feel fortunate that it didn’t take long for my providers to realize I had TN. I hope and pray that you are doing better. Thanks for sharing and thanks for your good work to help others. Though I don’t have TMJ I suffered with chronic pain for 18 years. I had a dorsal column stimulator and a morhpine pump but still received little relief. I goy very very lucky last year and after my pump failed and I went yhru living hell with withdrawals I have very manageable pain now. My message to you is never give up trying to find a solution and in the mean time appreciate what you do have and do what you can. Nerve pain is a b….sometimes gabapentin can help. Also, Ketamine treatments might help if the pain has become a disease in and of itself. I wish you luck. Hi, think my sister has had all treatments mentioned in the email strings attached. She has a-typical TN. She is left with scar tissue from all kind of surgeries, DBS (deep brain stimulation) electrodes and battery in body but not working, special medical cocktails for when in emergency etc.. I am researching Cannibis patches for her. Anybody familiar with this plese let me know. Doctors / researchers please write me. In despreate need for help for my sister !!! I suffer from this at age 56 , now 57 my hearing has been effected to the point I have been told I need hearing aids, which has upset me a great deal. I sing as a first soprano and this is sad news all around. This can be from underlying cause of CRPS. For those people who never heard of it, Complex Regional Pain Syndrome. We are sister’s in the two most painful diseases, I have RSD/CRPS. It also took many years for me to get a proper regimen of medications. I can only imagine the agony you must deal with each and every day. RSD also completely controls everything I do. You are truly a hero in my book for taking the time to write about everything you endure each and every moment of the day. I tip my hat to you sweet lady and pray that someday, somehow, there will be a cure for your horrific disease. I first became aware of TN as a medical disorder when my wife presented with unexplained face pain in 1996. A year and six doctors later, a neurologist prescribed Tegretol and referred us to a local support group meeting affiliated with the US Trigeminal Neuralgia Association. The support group was addressed by Claire Patterson, then President of TNA. I asked her a question that turned out to have consequences: “What is TNA doing to increase your visibility on the Internet?” She beckoned with a crooked finger and said “see me afterwards…” I later served three years as Webmaster and a member of their Board. From 1998 to 2003, due largely to the efforts of TNA and its support groups, the number of search engine hits on the term “Trigeminal Neuralgia” expanded from about 3500, to over three million. Today, it is about 5.6 million. But still, patients experience the same delays in diagnosis and effective treatment that Elizabeth describes. Medical schools do a truly inadequate job training doctors to recognize and treat neurological pain. We provide more hours of pain related curriculum to Veterinarians than to General Practitioners. In addition to the drugs used to treat TN, there are several surgical procedures, with the most successful being microvascular decompression and radio frequency rhizotomy. For atypical forms of this disorder, success rates are significantly lower and up to 70 different medications or combinations of medications may be tried and observed. Fair disclosures: I support Elizabeth Sirrell as a member of her Facebook group. I also support Erika Conrad Wess at the Facial Pain Alliance, who is kind enough to provide a hosting service for my published work. See http://www.face-facts.org. Can this happen after facial trauma…say..punches from DV? As we all become aware of this government imposed threat to our health, continue to share your stories. My heart goes out to all of you. Many of you suffer far worse than I do, and have been mistreated by the system now in place. I am writing to my state representatives. It may not make a difference, but I have to try my best. I want to be heard!!!!!. If all of you can manage, try to contact your congressional officials as well. Even a short letter will help. The contact info is on the internet. I know it takes time however maybe if someone receives enough letters they will stop to really think about this. Tell others as well. I also had TN, waited about 7 years for a diagnosis, and had many dental related procedures done, including sinus surgery, looking for a solution. It was an internist who caught it and sent me to a neurologist and effective treatment. I ended up having a surgery, microvascular decompression, to prevent the vein in my brain stem from beating against the trigeminal nerve. The surgery was successful and I am no longer on medication. I occasionally have some triggered symptoms, but they are moderate, and usually occur when the barometric pressure is dropping. Best to you and thank you for being a resource for so many. I hope effective solutions continue to be offered for this devastating condition. You should fave seen a neurologist for an accurate diagnosis. There are 2 primary drugs used for trigeminal neuralgia. TRILEPTOL AND. TEGRETOL. They both have been on the market for years. and have generic versions. I am sorry that you have suffered for so long. The pain is excruciating and neither OTC, common pain meds nor opioids will stop it. The above drugs work speedily. A neurologist or your family doctor can write the rx. I hope you find relief soon.